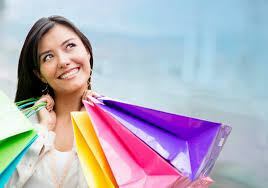 Shopping has often been referred to as a national pastime. Most people love shopping for new purchasers, in fact research from the Great British Wardrobe Report found that people in the UK spend an average of £1042 per year on their wardrobes. Whilst there has been a trend over recent years for consumers to spend more money online, in store purchasers still account for a high percent of retail value. Potential consumers who enter a shop on their own can often find they wish a second opinion before committing to a purchase, especially on clothes and shoes. Adobe has come up with an interesting new piece of patented technology which could help with this as it aims to give consumers a virtual second opinion (advice from someone of the shopper’s pre-determined group on whether to buy the particular item or look for other items in the store) via their smartphones. The technology works by using a monitoring device that monitors users’ movement and activities within shops. This data is collected and stored building a shopping record for each consumer allowing all consumers to be categorized into similar groups. After determining the group the system sends the notifications to rest of the similar group members about your choice while you are present in the shop. The system allows the shop visitors to provide feedback to each other, helping people make the right choice before buying a product. The new technology means that lone shoppers will always have user buyer advice from people similar to themselves instantly available on their smartphones as a virtual second opinion for them. The aim of Adobe’s patented technological solution is to increase customer satisfaction and increase conversions for products. We have to wait and see how Adobe might implement this new technology.